Public service has always been a part of Shontel Brown’s life. Even as a child, the 2012 Cuyahoga Community College graduate was motivated to help those who couldn’t help themselves. But public service is one thing — a career on the uppermost rungs of regional government is another. When she enrolled at Tri-C, Brown didn’t have any designs on a career in politics. She had built a successful career in the sales and marketing field. 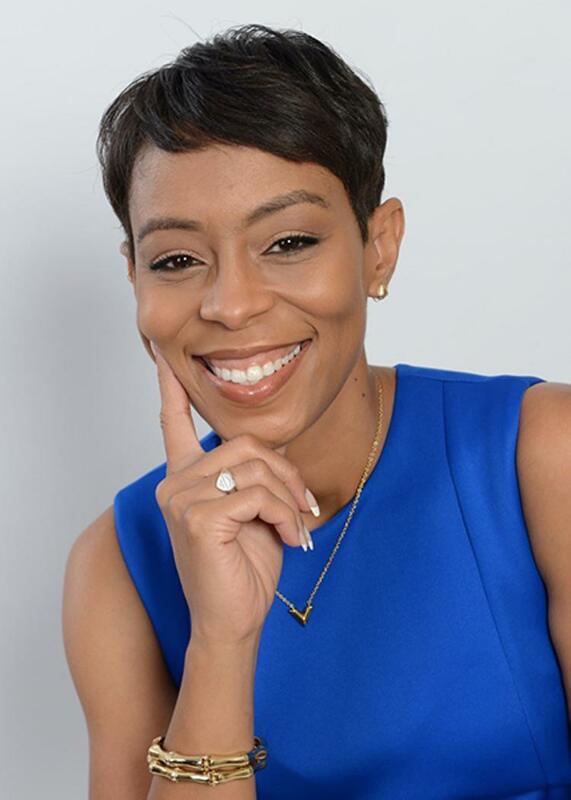 Her professional claim to fame was as the founder and owner of Diversified Digital Solutions, a printing and promotions company serving the small and midsized business space. Her Tri-C business management degree was meant to serve as additional momentum for her private-sector career. But as she progressed at Tri-C, and as she continued to build her company, Brown started seeing parallels between her job as a business executive and the job of elected officials. It rekindled her interest in public service. “I had worked in sales and marketing, I was making a good living, but I was also finding out that money isn’t everything,” she said. Brown decided to run for public office, serving three years on the Warrensville Heights City Council before becoming District 9 representative on the Cuyahoga County Council. But it was all a prelude to her current position. In 2017, Brown was elected chair of the Cuyahoga County Democratic Party. She is the first woman, and the first African American, to hold the position. It’s a position that allows her to utilize all of her accumulated business and executive experience in a role that serves not just the party, but the community at large. “It just kind of hit me one day that I’m doing virtually everything a CEO does, at the top of a very influential organization,” Brown said. Brown will reach the halfway point of her four-year term in August. At the outset of her term, one of her goals was to increase voter turnout. In the remainder of her term, Brown wants to continue encouraging voter turnout while helping to advance the Democratic Party’s other objectives throughout the region. As she does, she’ll draw on a knowledge and skill base that was cultivated with help from Tri-C.
“At Tri-C, I learned more about organizational structures and economics and how all of that can impact a city and a county,” Brown said. “I learned more about developing and maintaining good relationships with people.